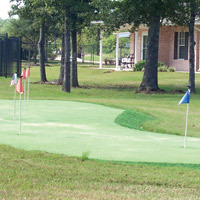 Oak Haven and Lake Haven Apartment Homes are active senior communities, not retirement homes. Our residents live independently in their own cottage-style apartments, enjoying the freedom and flexibility that our maintenance-free lifestyle has to offer. Our residents enjoy spending time together whether participating in one of our many scheduled activities, or just visiting by the pool, computer room or fitness center. Or, they can relax in the peace and comfort of their own home. When you come home to Lake Haven or Oak Haven, you’re coming home to a community of friends with similar interests and lifestyles. Both communities offer an array of amenities that include covered parking, a traditional fitness center and clubhouse, large exterior storage, a beautiful walking trail and a community garden. Swimmers and sunbathers will love our sparkling pool and bookworms will enjoy our community library. At Lake Haven outside of Clear Lake, Texas, you will enjoy visiting the nearby Kemah Boardwalk, exploring the numerous boat marinas, and dining on the delicious seafood offered at an array of restaurants in the area. We offer 4 spacious floor plans with your choice of 1 bedroom, 2 bedroom or 3 bedroom apartment homes, each with a host of amenities and community features. Contact us today to schedule a tour. At Oak Haven, not too far from Conroe, Texas, you will enjoy the close proximity of The Woodlands Mall, the new Woodlands Waterway and Market Square and Old Town Spring. 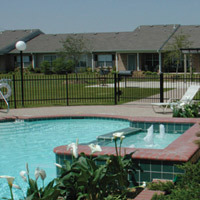 We have 1 bedroom, 2 bedroom or 3 bedroom apartment homes available, each with a host of amenities and community features. Contact us today to schedule a tour.